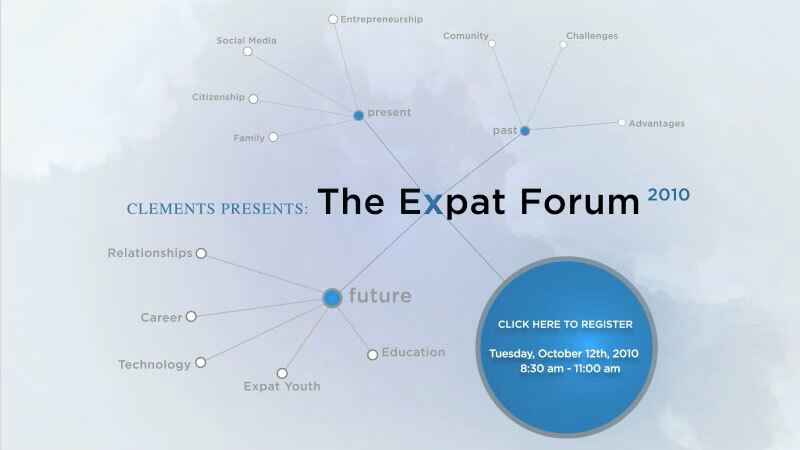 This October, Clements will host a panel discussion about contemporary expat life, and the unique challenges and advantages of being an expat in 2010 and beyond. Headquartered in Washington, DC, the company welcomes local expats and international benefit providers to attend the event on Tuesday, Oct. 12, 2010 at the U.S. Navy Heritage Center from 8:30 a.m. to 11:00 a.m. Registration is free, and open to expats and international benefits providers. Complimentary breakfast will be served. The registration deadline is Monday, Oct. 4. 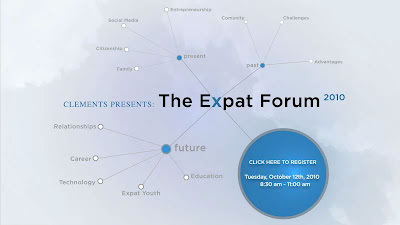 Learn more about The Expat Forum 2010 and register at expatforum.clements.com.